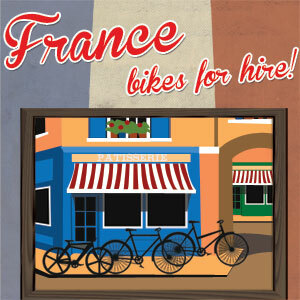 FranceBikeHire is the easy way to find bikes to rent wherever you are going to be in France. Search by region, department, or town for Mountain Bikes, Touring Bikes, Electric Bikes, Hybrids and Tandems by browsing through our lists of bike hire companies across rural and urban France. If you are unsure as to what sort of bike you will need, take a look at our guide to the different types of bike typically available to hire. Some rental companies will deliver to your accomodation which can be a big plus when trying to work how you are going to move bikes for the whole family. Its also really useful if you want a one-way hire (end somewhere other than where you started).